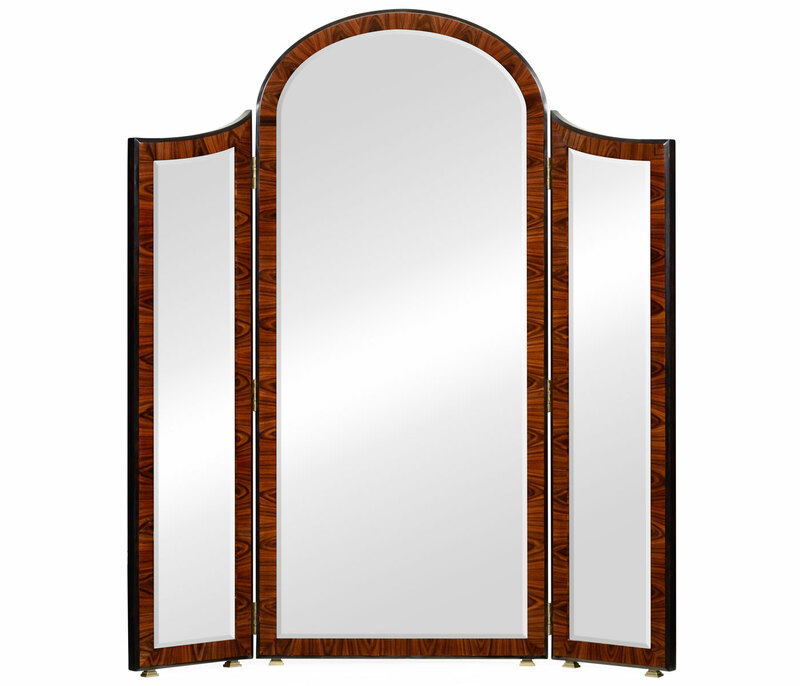 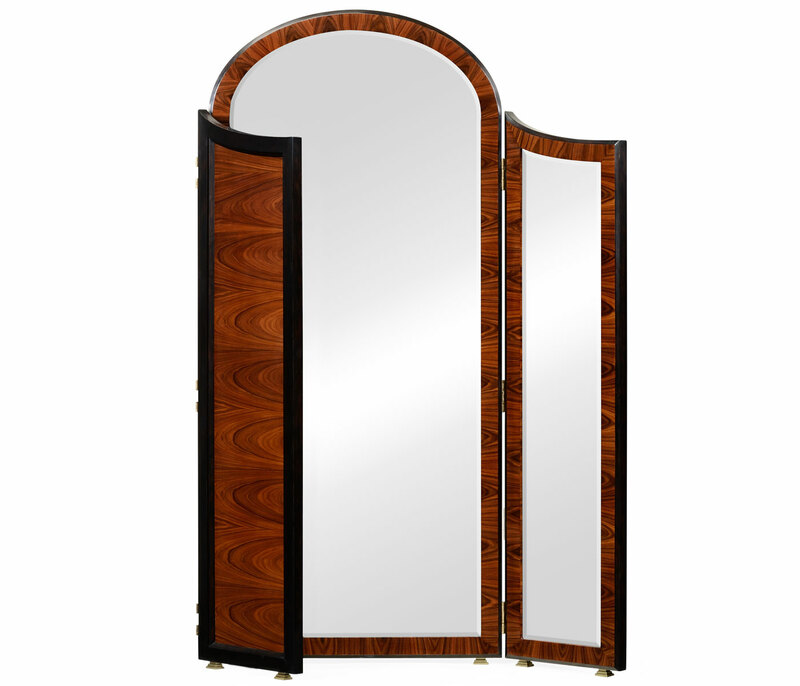 Stylish rosewood veneered full length triple dressing mirror with curved central panel and two hinged side panels. 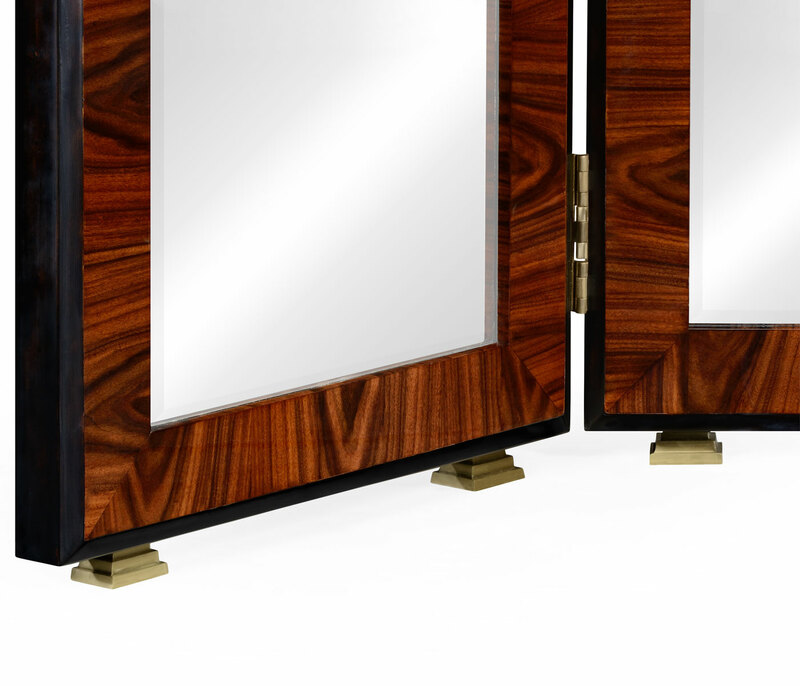 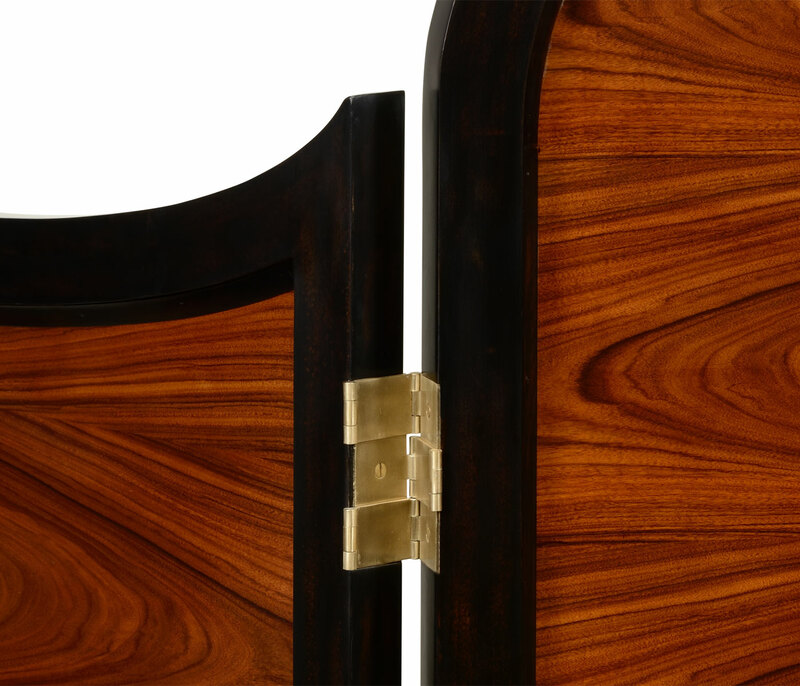 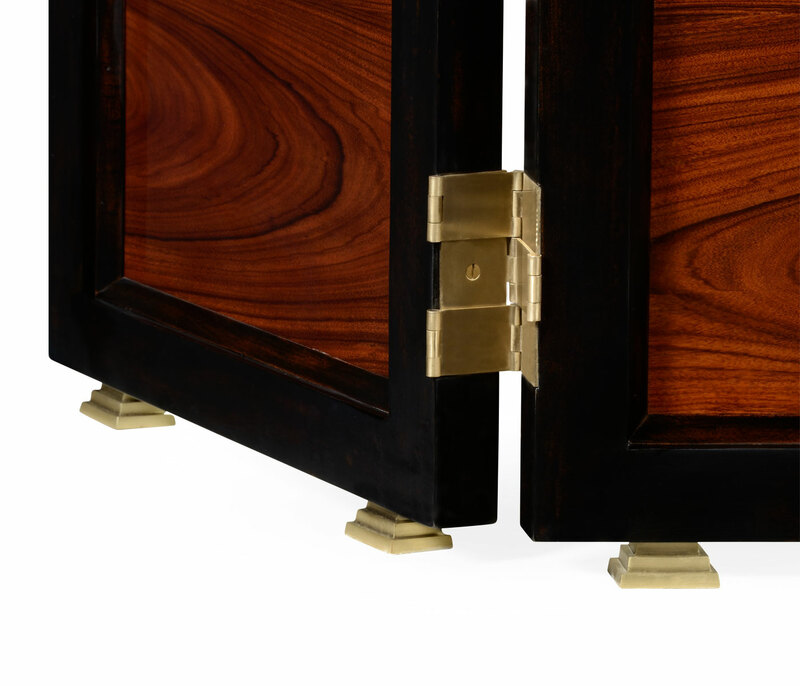 Inspired by original designs of c.1920. 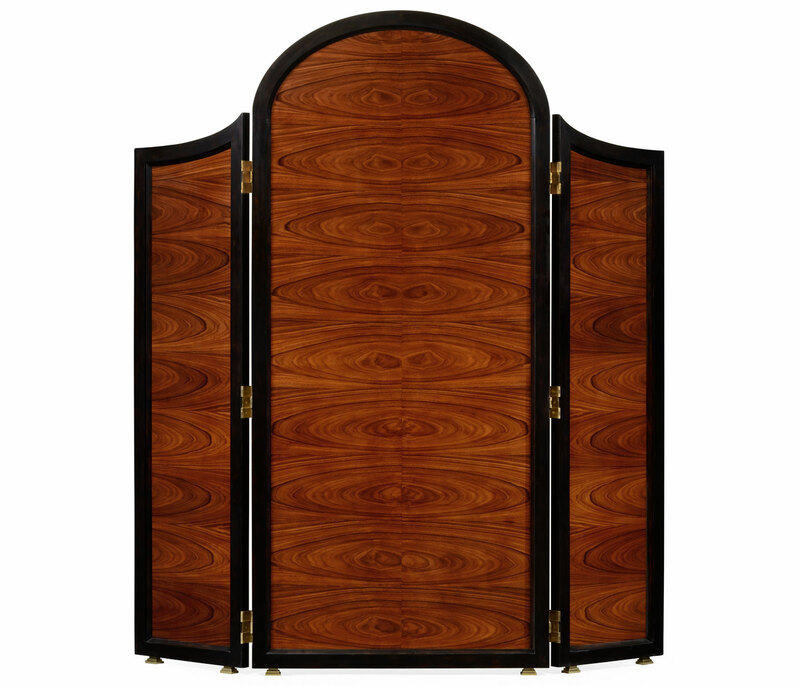 Also available in high lustre finish 495036-SAH-BRS.